I Love Arnside & Silverdale: Cuckoo arrived! Cuckoo calling from his regular place close to the Lancelot boundary. Stonechats about. One additional Tree Pipit displaying and calling (2 sites now) still awaiting a further three in Dalton. NO WHEATEAR, NO GARDEN WARBLERS, NO REDSTARTS TODAY...... did have a male Orange Tip butterfly in Plain Quarry. Also: from Robert of Kendal - today he also had a further two TREE PIPITS at the top of Lancelot Clark Storth. Also over 200 Swifts seen above the Chew Valley in Somerset today. Just a quick checkover of the Lower Section to see if any GARDEN WARBLERS had come in during the night, but still quiet nothing recorded. Temperatures have took a massive drop and although nice in the sun the general temperature was down to 6 degrees which I would imagine would make things difficult for the Warblers, yet after saying that the WILLOW WARBLERS seemed to be singing from everywhere. One of our Cuckoo's is back and calling regular from his favourite territory in Dalton Crags close to the boundary with Lancelot Clark Storth. 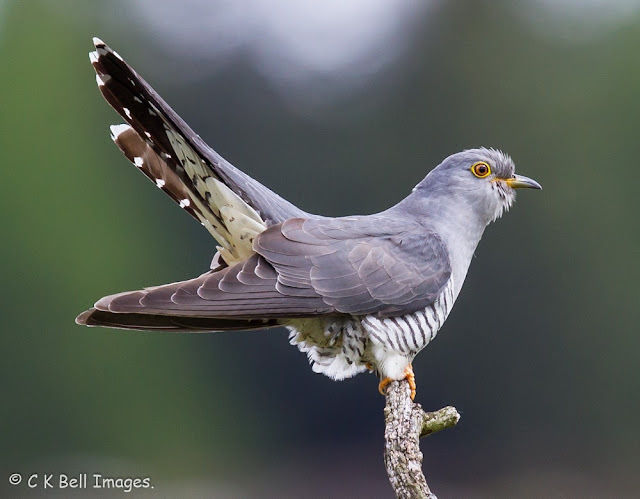 It was nice yesterday to hear from Celia up at Elterwater to tell us that her Cuckoo had arrived back and was calling, which made me wonder whether ours might be back today. I wonder if they had come in together!! Still only the one Tree Pipit doing it's marvellous parachuting displays whilst singing its diminishing crescendo calls.